Step 2: Pour oils in pan and wait until it boils. Fry garlic to make them golden and crispy. Put sliced beef in pan and then stir on medium – high heat until you see it cooked through. Saute the greeneries if you want. 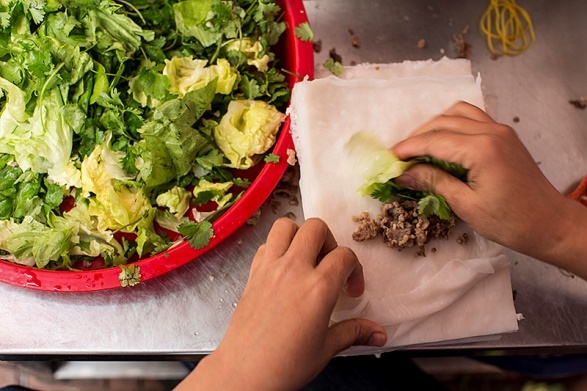 Step 3: Place each ‘pho’ leaf on plate, add herbs, cilantro, salad and fried beef to it before rolling them like how we make spring rolls. Make sure to go as tight as you can so that the fillings can’t fall off. 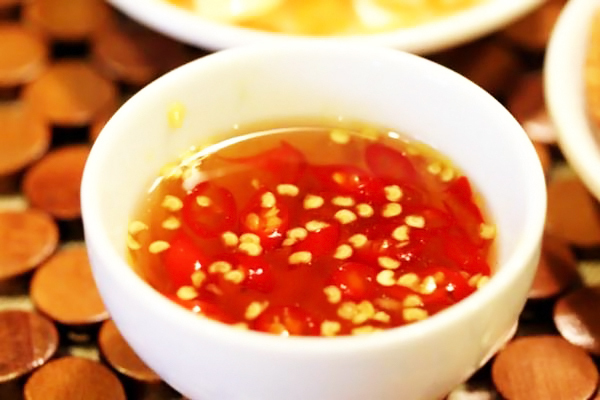 Step 4: Prepare fish sauce by adding chopped garlic and chilies to a bowl. We need 1 – 2 cup servings of fish sauce. Measure 2 – 3 tablespoon of sugar, 2 lemons, and 4 – 6 water cups to add to the sauce. This formula can be adjusted to fit your demand. If you prepared it too much, then keep it in the jar and put in fridge for your food preparation next time. 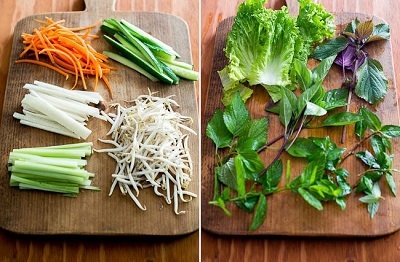 After making one of the tastiest Vietnamese Pho recipes, serve the dish by arranging them on a heaping plate. Eat it with sweet and sour dipping sauce to experience the entire taste of rolling pho. Whenever we become lazy to eat with spoon and chop sticks like how we eat traditional ‘Pho’, then go for this version, instead. You can find it around Ho Chi Minh City and Hanoi at a cheap cost (between 20,000 – 50,000 VND). Learn how to make Pho Cuon now to serve it for your family reunion since it does not take much time to prepare and cook.